Super Plus for the heaviest flow days. Smooth plastic applicator and rounded tip for comfortable insertion. Contoured grip to make the applicator easy to hold and position. Width-wise expansion to fit your unique form. 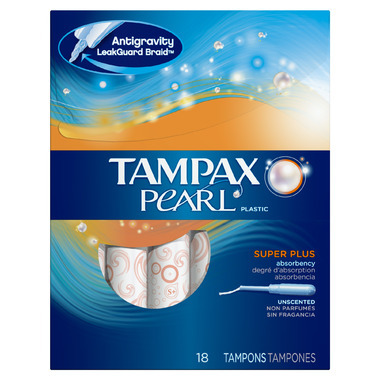 Pearl has an absorbent braid to help protect against unexpected leaks. Discreet and durable wrapper with easy-to-open tabs. This is a wonderful tampon,very comfortable. I will definetley be getting these again.